Action. Lots of G.I. Joe action, and that is all. 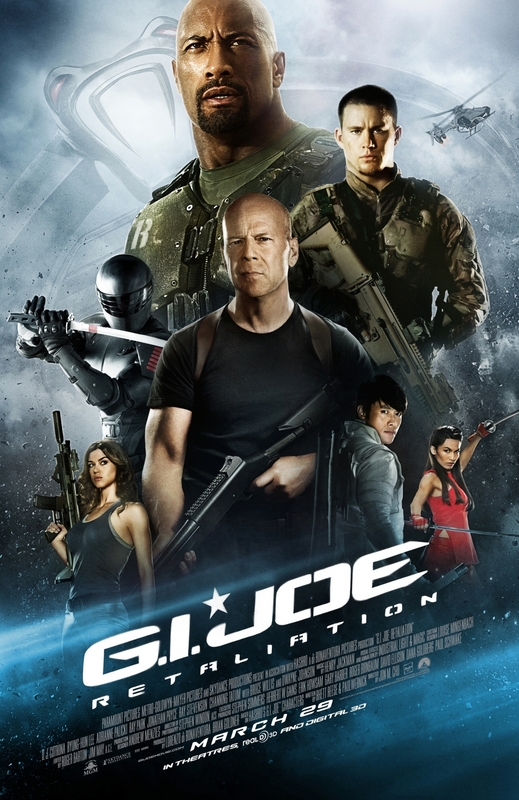 This movie is mainly about big guns, rapid ninjas and cheesy jokes. It has got a few good moments to it, but at several points is switches to lame. E.g. there is a “tank battle” where Dwayne “The Rock” is sort of wearing a light tank and just goofing around shooting everything up. Too much! On the other hand I really like the idea behind handling all nuclear weapons on earth. That part was brilliant! The Cobra WMD is also pretty cool. The Rock has never been a good actor, and his performance puts him just below average here. I like the introduction of Bruce Willis. Using him shows how much Hasbro is investing in making these movie big hits. Ray Stevenson is is one of my favorites. His character is rather cool and really fitting his style, but his “special weapons” are just too lame. Well... the action and effects is really what makes this movie anything. They are well done, obviously over the top but that is a given, and there is a hell of a lot of it. It is not really a good movie, but I am still looking forward to the next one in the series. It is good for killing time on your couch, if you like action and big explosions.